Call me the damn QUEEN of Cozy because I have been obsessed with discovering and experiencing all the ways in which to find the warm and fuzzies around town lately. It’s not always easy to find in a town like LA, and it’s a real sad and stressful job, but someone’s gotta do it dammit. So I did. Ladies and gentlemen… the inspiration behind this whole post: In Sheep’s Clothing. The first time I visited I walked in and thought, “by god I’ve found it. I’ve found the definition of “cozy” in Los Angeles.” While I have a love/loathe relationship over it being a hi-fi “listening” bar – AKA they ask that you not speak loud, something I’m not very good at – there’s some real value in what they’re trying to achieve. God forbid you go to a bar and have a nice conversation with your friends at a normal decibel in a space built with perfect acoustics. A space that also just happens to be hidden inside of a restaurant, serves fantastic cocktails and bathes you in the most beautiful and flattering golden light. I mean ew, right? Prejudge all you wish, but this place warmth in a bottle! You know it’s good when you bring your mom in, and the first thing she says is, “this is so cute and cozy!” Who else’s approval could you possibly need? Even though A.O.C also happens to be a great place when the weather is nice – that patio is simply gawgeous – it surprised me how warm the space was even when it was chilly out. I think the fireplace, the warm brown tones, and the soft lighting might have something to do with it but… clearly issa vibe. Complete with a mother’s stamp of approval. I don’t know if you’ve ever visited Paris in the rain, but there is something seriously magical about the whole experience. If you’re not planning on Paris though anytime soon, the next best place to have a similar cinematic moment in LA is at Belle Vie in West LA. The owner is from France so they’re off to an excellent start with that, the decor is very a-la-French-Bistro, they serve beautiful and yet approachable French cuisine, they have beautiful live music, and Belle Vie is home to the best mac n cheese I think I’ve had in LA. Does it get more comforting and cozy than mac n cheese? The Arthur J was named in honor of the two owners’ grandfather, so this is already one fantastically family oriented establishment. OH, the love!!! The homage extends past its namesake and spills even into the design of the restaurant – it was created to be as though you were walking into Arthur J’s fabulous mid-century modern home in the heart of Palm Springs. While it has that classic steakhouse appeal with its dim light and dark wooden decor, it has some serious modern touches that make it so everyone between the ages of 28-100 can appreciate it. Sometimes rainy nights beg for an excuse to dress up in a big fancy coat (just me?) and order a steak and a martini, and the Arthur J would be the place in LA to do that. There’s really only two things you’ll need to know to be sold on Good Housekeeping and that is candlelight and craft cocktails. 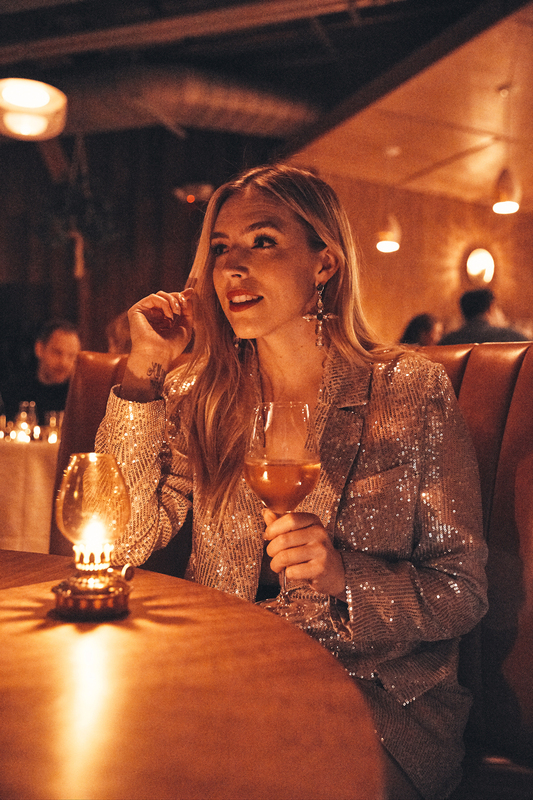 This chic Highland Park bar is only lit by candlelight – oh hello there warmth, relaxation, romance, so nice to sense you all – and these COCKTAILS. They’re fancy, and they’re fantastic. There’s something about the whole experience that makes you feel transported; it’s very European-bistro-esque, super cinematic, and screams, or more like softly whispers, “warm and inviting”. Let’s just start by mentioning that Little Beast is located inside of a craftsman style bungalow… does it get any closer to being cozy at home than that? Little Beast has always been described as one of the best and most beloved neighborhood type restaurants, and frankly, no matter what the weather is, from food, service, to ambiance, it’s always somewhere you can rely on to make you feel comfortable. Matteo’s is the closest thing you’ll get to that nostalgic east coast Italian restaurant in LA – save maybe Dan Tana’s. I walked in and felt legitimately transported! This wave of familiarity, family, love, and comfort washed over me and I could not be more grateful for its existence – what they have ain’t easy to come by in LA. White table clothes… old family photos… walls painted deep red… gold accents… the whole cannoli. The Corner Door is everything you could possibly want in a neighborhood bar in LA. It’s the perfect place for those nights you know you need to get out of the house but you need to find that happy medium between the comfort of home and actually doing something worthwhile. They’ve nailed the decor, they’ve nailed the food and craft cocktails, they’ve nailed the seating (crucial), and they’ve really nailed that whole, “come on in neighbor, we’ve been waiting for ya” vibe. Did I miss your favorite cozy nook in Los Angeles?! Tell me in the comments!